If you and your coworkers are any thing like me and mine, there’s usually one or more of you on a health journey at any given moment. Our office is pretty close, and someone brings in some sort of sweet treat on a weekly basis. It’s really hard to say no to the sweets, especially when you see them every time you go to the kitchen! 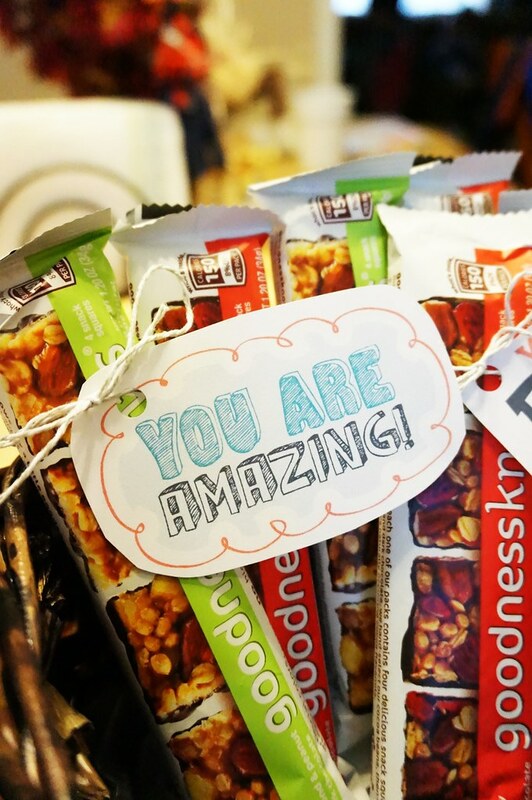 I have a cute little idea for you to do in your office the next time you need a snack at work. 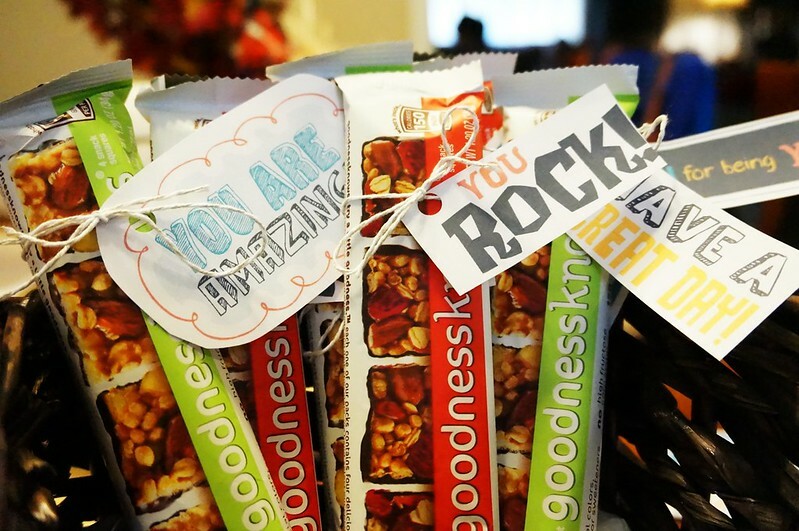 Instead of saying yes to the sweets, keep your office stocked with snack squares. We all need to take time for a break and do something good for ourselves. 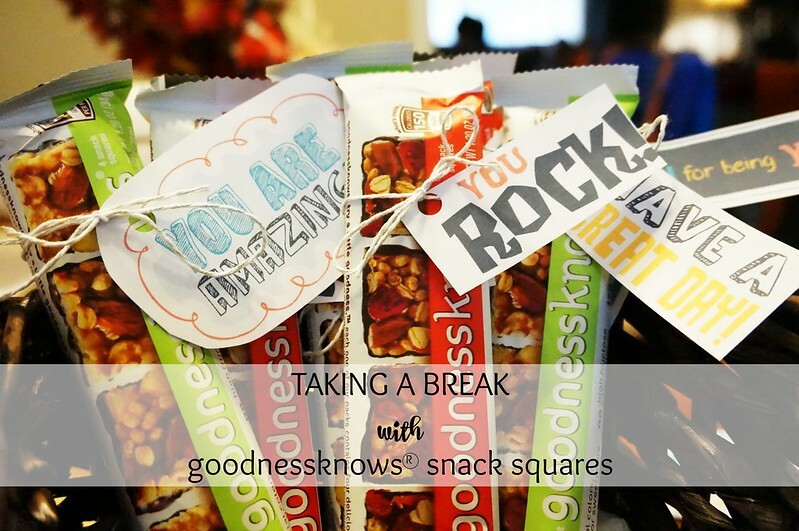 I’ve been snacking on the goodnessknows® snack squares, so I made a little basket of goodies for my coworkers! 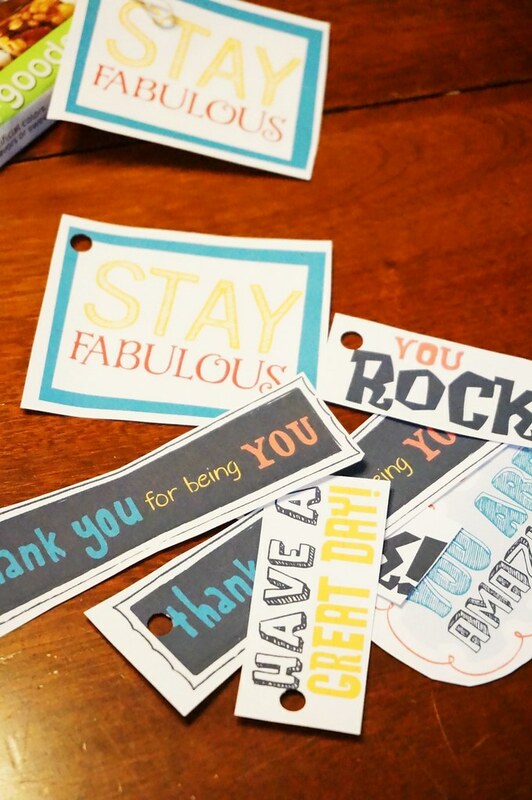 I also printed out these super sweet, encouraging notes. I plan on setting one on my coworkers’ desks to give them a really good start to the day! I purchased the Cranberry, Almond, Dark Chocolate and the Apple, Almond & Peanut, Dark Chocolate flavors. They also have a Peach & Cherry, Almond, Dark Chocolate flavor that sounds delicious. 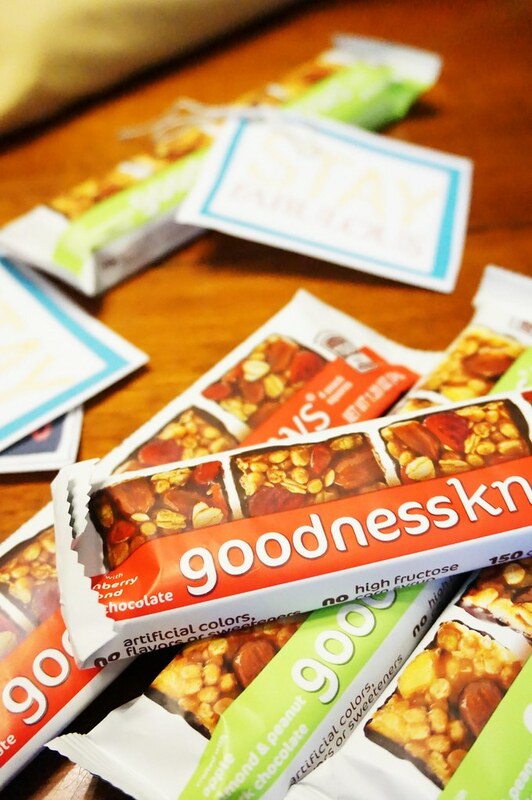 Then, I bought this little basket so we can have a stash of the goodnessknows® snack squares any time we need a break. 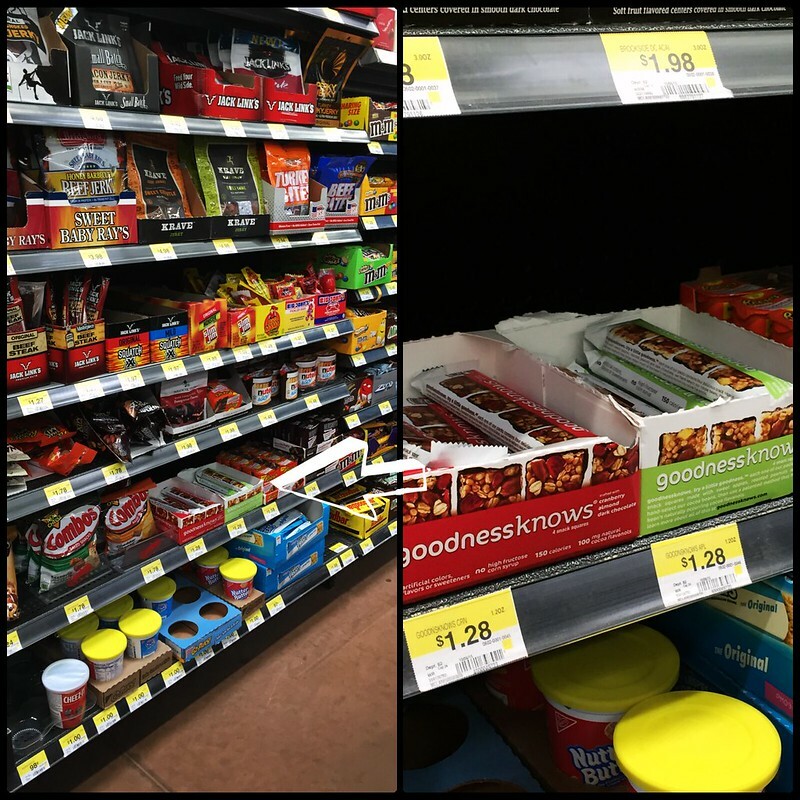 Here’s where I found the goodnessknows® snack squares. Keep your eye out for them the next time you’re at Walmart! Make sure and print this coupon to use.